Bartending is a wide and diverse field, but there are many standard practices that the best employers are looking for. From expert bartending school classes to learning the best methods for working a crowd, a bartender school will get you prepared for the real world of bartending. 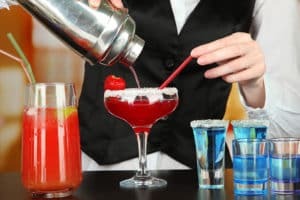 Other than securing a job, a bartending certification will provide you with the skills to achieve the best wages, the best positions, and the most profitable shifts. Across North Carolina, employers say that a reputable bartending education affects their choice when hiring new bartenders. What Do You Learn? Obviously, the most important part of the job is to serve good drinks and cocktails to your customers as well as provide great customer service. If you would like to find out more, call today!